Forecasters are expecting the storm to become a so-called “bomb cyclone” because its pressure is predicted to fall so fast, an indicator of explosive strengthening. The storm could rank as the most intense over the waters east of New England in decades at this time of year. Unforgiving cold has punished the eastern third of the United States for the past 10 days. But the most severe winter weather conditions yet will assault the area late this week. First, a large and powerful storm will hammer coastal locations from Georgia to Maine with ice and snow. By Thursday, the exploding storm will, in many ways, resemble a winter hurricane, battering easternmost New England with potentially damaging winds in addition to blinding snow. In the storm’s wake, the mother lode of numbing cold will crash south — likely the last but most bitter in the series of brutal blasts since Christmas Eve. The storm is forecast to begin taking shape off the coast of Florida on Wednesday, unloading hazardous snow and ice in highly unusual locations not accustomed to such weather. The National Weather Service has already posted winter storm watches from Lake City, Florida, to Norfolk, Virginia. It then is expected to buffet the mid-Atlantic beaches and eastern New England, where winter storm watches have also been hoisted. By the time the storm reaches the ocean waters east of Long Island and eastern New England on Thursday, it will be explosively intensifying. The storm’s central pressure will have fallen 55 millibars in just 24 hours — an astonishing rate of intensification. Winds will crank in response to this pressure drop, howling to at least 30 to 50 mph along the coast. Winds will be considerably stronger over the ocean — exceeding hurricane force — where enormous waves will form. In Boston, the Weather Service is predicting not only four to seven inches of snow but also winds strong enough to bring down tree branches. Throughout eastern Massachusetts and eastern Maine, the combination of wind and snow could create blizzard conditions, especially if the storm wobbles west. The storm’s enormous circulation will help draw several lobes of the polar vortex, the zone of frigid air meandering the North Pole, over the mid-Atlantic and Northeast by Friday and Saturday. Wicked cold air sourced from Siberia, the North Pole and Greenland will all converge on the region. Temperatures are forecast to be 20 to 40 degrees below normal, the coldest of the winter so far. Most locations in the mid-Atlantic and Northeast are predicted to set record cold high temperatures Friday, with highs in the single digits and teens. Bitterly cold temperatures gripped much of the nation Tuesday, and have been blamed for at least a dozen deaths, prompting officials to open warming centers in the Deep South and triggering pleas from government officials to check on neighbors, especially those who are elderly, sick or who live alone. At the same time, a heat wave swept into the country’s northernmost state: Anchorage, Alaska, hit a record high Tuesday of 45 degrees, while Jacksonville, Florida, was a mere 38 degrees. The National Weather Service issued wind-chill advisories and freeze warnings covering a vast area, from South Texas to Canada and from Montana to Maine. The arctic blast was blamed for freezing a water tower in Iowa, halting a ferry service in New York and even trapping a swan in a Virginia pond. 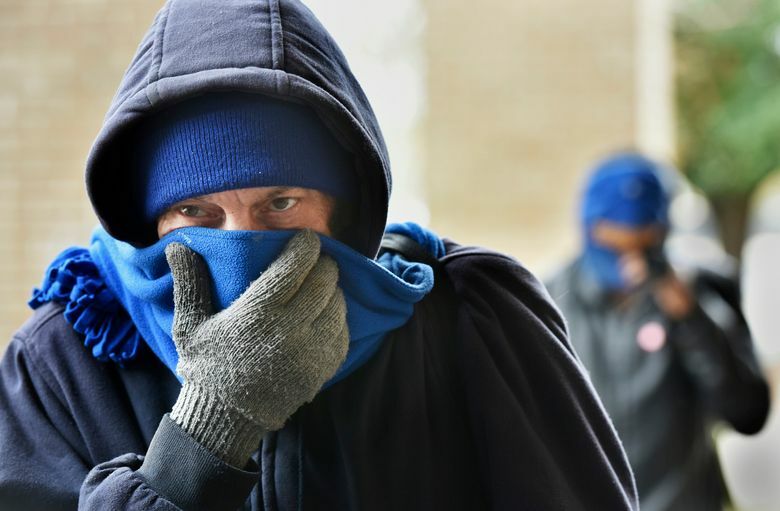 With Chicago-area wind chills expected as low as negative 35 degrees, forecasters warned of frostbite and hypothermia risks. One area of reprieve: Phoenix, where residents wore short-sleeve shirts and flip-flops as temperatures topped out in the 70s. “Don’t let the people on the East Coast know how nice the weather is here today,” said Mark O’Malley, a meteorologist for the National Weather Service in Phoenix.